Holy Communion Sat 18th May 2019 12:15 p.m.
What are the Psalms? The following is a very brief summary condensed from the rich vein of literature found on-line and from CTS publications. For more information see the following, which you may find helpful. Please click on link here. The Psalter: This covers the whole collection of Psalms, Year A, B and C settings. Responsorial Psalm: This is a psalm, one verse of which is used as an introduction and refrain. The congregation join in on the refrain after the cantor has intoned the refrain, with other verses interspersed (usually sung by a cantor). 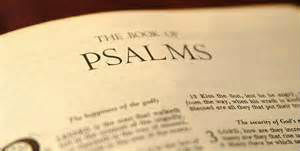 The Psalms are a collection of about 150 songs, prayers, poems and hymns gathered over a considerable period of time. There are many different types of psalms, these can reflect stories, while others are songs of praise and some are prayers of repentance. While each psalm has its own unique character, they are all deeply emotional and profoundly spiritual. They encompass and express the whole range of human emotions from sorrow, joy, lamentation and depression to praise and celebration. The Psalms are divided into five books: 1-41, 42-72, 73-89, 90-106 and 107-150. The ancient Israelites prayed the Psalms in the tabernacle and then in the Temple from the time of David down to the destruction of the Second Temple in 70 AD. Since then the Jewish people have continued to pray the Psalms. The earliest Christians also prayed the Psalms (see Eph 5:19; Col 3:16) and the Psalms were incorporated into the liturgy of the Mass. 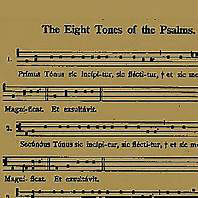 The 2nd Vatican Council set into motion the renewal of the Responsorial Psalm. The mass is divided into two parts, the Liturgy of the Word and the Liturgy of the Eucharist. The psalm response can be considered as the key to the Liturgy of the Word. Please see below the selected Psalm for the day, and the cantor who will intone it. We appreciate emergencies and the unexpected happens in life, however if for any reason you cannot cantor, let us know immediately, to allow for the stand-in cantor to prepare. Use this link to CONTACT US please. Thank You. We use, The Complete Responsorial Psalter ©. Years A, B & C. Edited by Stephen Dean. McCrimmons, Great Wakering, Essex. ISBN 085597585-7. The revised and updated edition 2000. Click on this link here (available from Decani Music), (Or please click here ). Psalmists please check the Readers - Rota, click here, if you are also marked for reading please seek a substitute reader or psalmist well in advance, preferably on the Monday prior when we rehearse and sing hymns or use the contact us link above. Thank you. Taken in the main from The Complete Psalter © - Years A,B & C. McCrimmons revised 2000 reprint. Psalm 95: Proclaim the wonders of the Lord among all the peoples. Psalm 18: Your words are spirit, Lord, and they are life. Psalm 70: My lips will tell of your help. Psalm 137: Before the angels I will bless you, O Lord. Psalm 1: Happy the man who has placed his trust in the Lord. Psalm 102: The Lord is compassion and love. Psalm 91: It is good to give you thanks, O Lord. Psalm 50: Have mercy on us, O Lord , for we have sinned. Psalm 90: Be with me, O Lord, in my distress. 2nd Sunday of Lent - (C) - 17th March 2019. Psalm 26: The Lord is my light and my help. 3rd Sunday of Lent - (C) - 24th March 2019. 4th Sunday of Lent (C) – 31st March 2019. Psalm 33: Taste and see the Lord is good. Psalm 125: What marvels the Lord worked for us! Indeed we were glad. 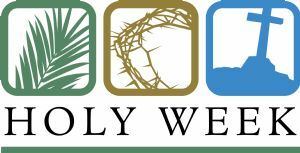 Palm Sunday of the Lord's Passion (C) - 14th April 2019. Psalm 21: My God, my God, why have you forsaken me. Psalm 115: The blessing cup that we bless is a communion with the blood of Christ. Psalm 30: Father, into your hands I commend my spirit. 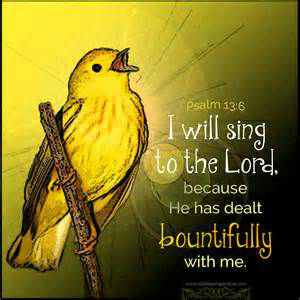 I will sing to the Lord, glorious his triumph. Easter Sunday (C) – 21st April 2019. Psalm 117: This day was made by the Lord; we rejoice and are glad. 2nd Sunday of Easter (C) – 28th April 2019. Psalm 117: Give thanks to the Lord for he is good, for his love has no end. Psalm 29: I will praise you, Lord, you have rescued me. 4th Sunday of Easter (C) – 12th May 2019. Psalm 99: We are his people, the sheep of his flock. 5th Sunday of Easter (C) – 19th May 2019. 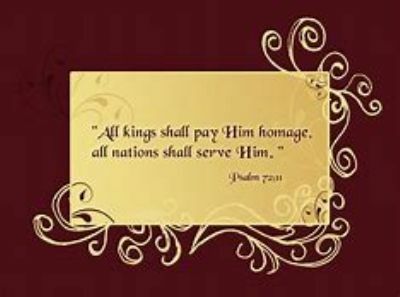 Psalm 144: I will bless your name for ever, O God my King. 6th Sunday of Easter (C) – 26th May 2019. Psalm 66(67): Let the peoples praise you God; let all the peoples praise you. Psalm 96(97): The Lord is King, most high above all the earth. Pentecost (C) – 09th June 2019. Psalm 103(104): Send forth your Spirit, O Lord, - and renew the face of the earth. Psalm 8:4-9: How great is your name, O Lord our God, through all the earth. Psalm 109(110): You are a priest for ever, a priest like Melchizedek of old. Psalm 33(34): From all my terrors the Lord set me free. 14th Sunday Ordinary Time (C) – 7th July 2019 - Family Mass. Psalm 65(66): Cry out with joy to God all the earth. Psalm 68(69): Seek the Lord, you who are poor, and your hearts will revive. 16th Sunday of Ordinary Time (C) – 21st July 2019. Psalm 14(15): The just will live in the presence of the Lord. 17th Sunday of Ordinary Time (C) – 28th July 2019. Psalm 137(138): On the day I called you answered me, O God. 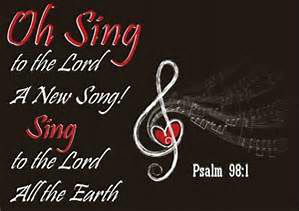 Psalms 104:33 - I will sing unto the LORD as long as I live: I will sing praise to my God while I have my being.